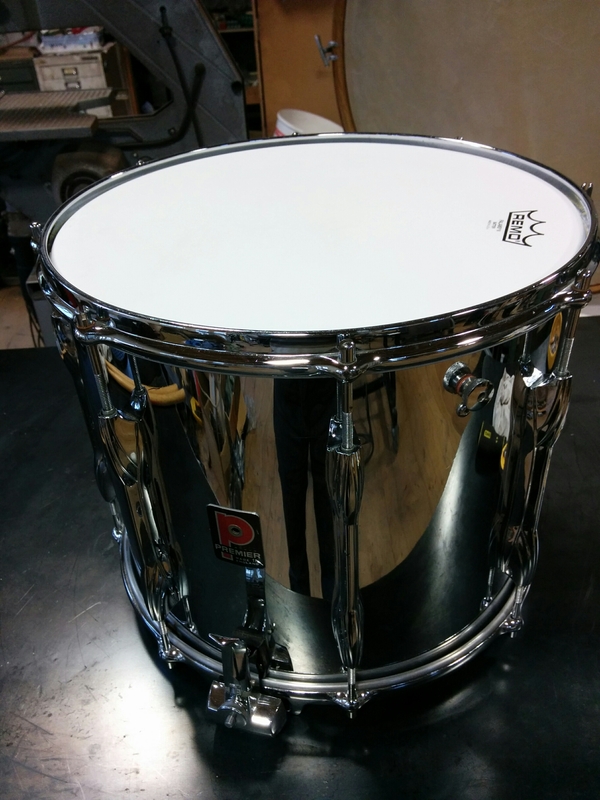 Here is a very nice parallel action marching snare drum in full working condition. The shell has only minor scratching in the chrome, but it still looks great. 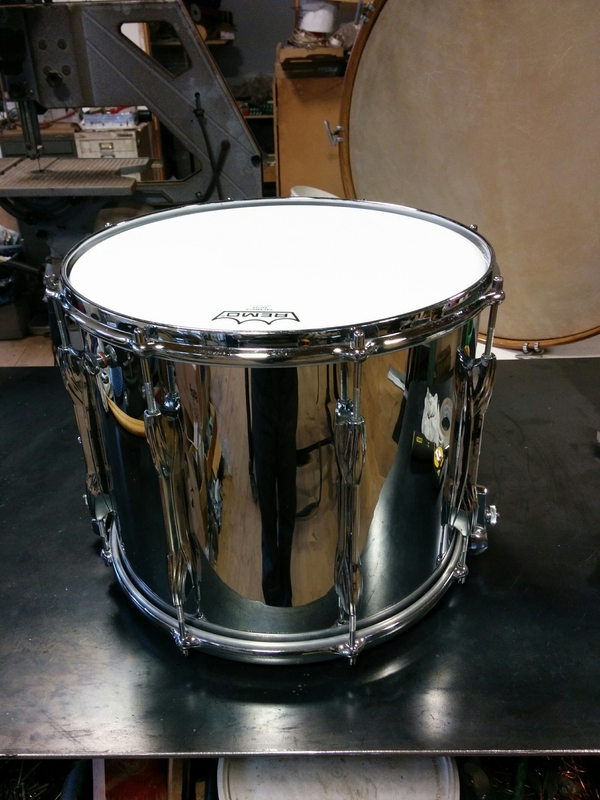 The snare wires raise and lower parallel to the head as opposed to just at one side like snare drums that are used on drum kits. The top head has an internal damper. 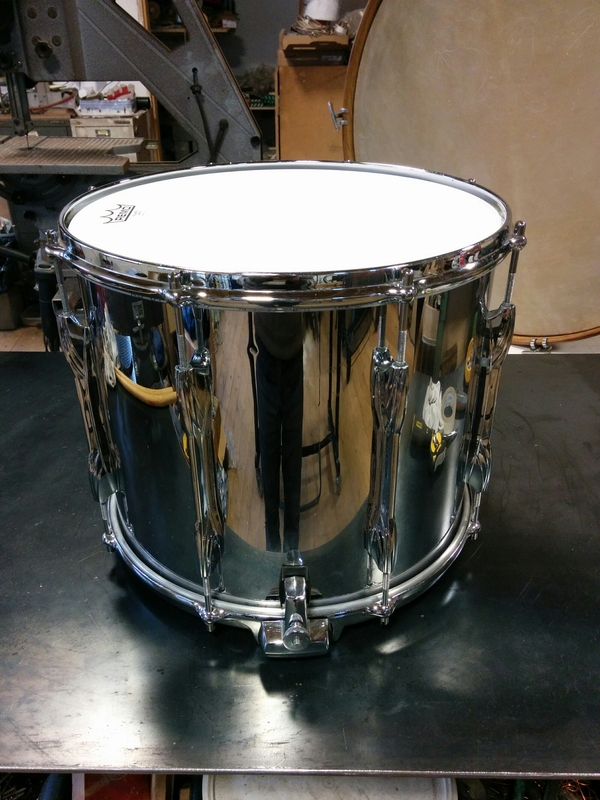 The lugs are high tension fittings appropriate for marching snare drum heads. 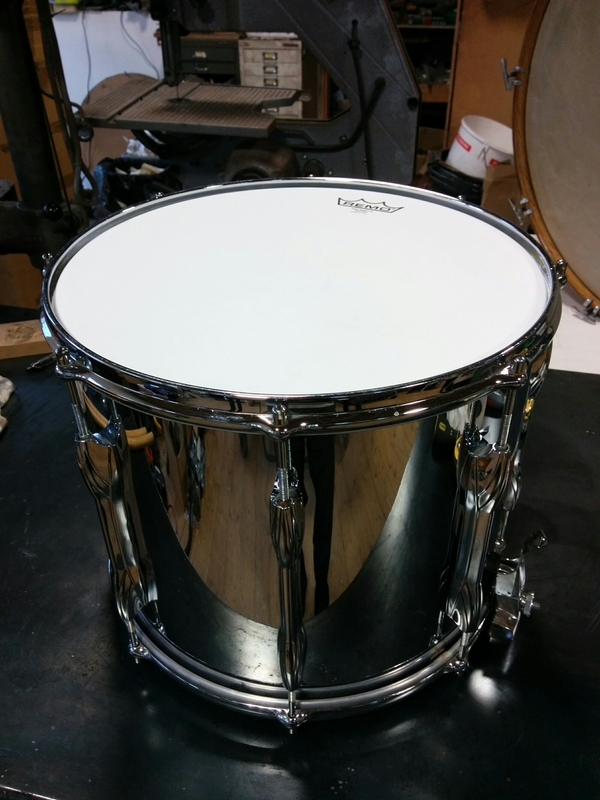 Brand new heads (I couldn’t get over the price of the batter head) means that this drum is ready for action. If you have any questions, ask and I will see if I can help.